UNM’s Department of Anthropology has just completed a major grant from the Andrew Mellon Foundation, which enabled 23 under-represented minority graduate students to pursue and complete their doctoral degrees. Anthropology Chair Michael Graves says the department has spent the last few years working diligently with the students. 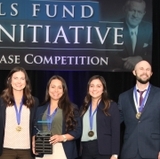 “This grant was focused on graduating students from under-represented minority groups," Graves said. "We are happy these students will now be working in many fields through the profession." Claudia Anguiano, Ph.D., Communications and Journalism, 2011. 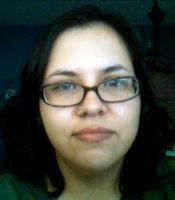 Anguiano is now a lecturer at The Institute for Writing and Rhetoric, Dartmouth College, Hanover, N.H. Her dissertation was titled “Undocumented, Unapologetic, and Unafraid: Discursive Strategies of the DREAM Immigrant Youth Social Movement.” Originally from San Luis Potosi, Mexico, Anguiano earned both BA and MA degrees at California State University, Los Angeles. Her research combined communicative intersections of race, immigration politics and social movements specifically involving immigrant Latina/o youth. Her dissertation focused on the DREAM Act movement, specifically on the discursive strategies that undocumented students utilize to communicate about their personal agency given the anti-immigrant sentiment. 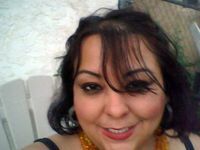 Sonia Bettez, Ph.D. 2013, Sociology, Bettez is the principal and owner of Sonia Bettez and Associates, Santa Fe, NM. Her dissertation was titled “The Social Transformation of Health Inequities: Understanding the Dominant Disparities Discourse in the United States from 1970 to 2010.” Bettez was born and grew up in Bogota, Colombia, and considers herself bilingual (Spanish and English) and bicultural (Latino and U.S. cultures). She took her BA at Merrimack College and earned an MA degree in social work at the University of North Carolina. Her doctoral research examines the intersection of health, race and ethnic relations, particularly those faced by Latino communities. Sonia’s work is targeted to individual actors and the structures that promote health and illness and health policy in society. Kent Blansett, Ph.D. 2011, History, Blansett is an assistant professor in the Department of History and American Indian Studies at the University of Minnesota-Morris. He was a post-doctoral fellows at the School for Advanced Research in the Human Experience, Santa Fe NM (2013-14). His dissertation was titled “The Biography of Richard Oakes, American Indigenous Leader and Activist.” Blansett is a descendent from five tribes, the Cherokee, Creek, Choctaw, Shawnee, and Potawatomie. His dissertation is a biography of Mohawk activist Richard Oakes, who was one of the student leaders of the 1969 occupation of Alcatraz Island. Blansett’s research combines an urban Indian, comparative approach and exposes the roots of modern Native Nationalism and Red Power, and offers a new methodological construct for historical biography. Sean Bruna-Lewis, Ph.D. 2014 Anthropology, Her dissertation is titled “Sowing the Seeds for the Future to Honor Tigua History and Tradition: Type 2 Diabetes Prevention Practices at Ysleta del Sur Pueblo.” Bruna-Lewis is a research scientist on the National Institutes of Health funded “Corazon por la Vida: Comparative Effectiveness Research for Eliminating Disparities”, a large interdisciplinary study that examines promotora led hypertension management among Latinos. 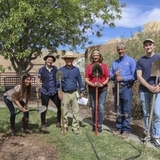 His dissertation research utilized community based participatory research to examine indigenous epistemologies, religious gardening practices, and diabetes prevention at Ysleta de Sur Pueblo, Texas. Eric T. Castillo, Ph.D. 2011, American Studies. Castillo was an assistant professor in the Center for Mexican American Studies at the University of Houston in Houston Texas TX from 2011-13. He is assistant director of Multicultural and Diversity Affairs and Director of the Institute of Hispanic Latino Cultures at the University of Florida, Gainesville. 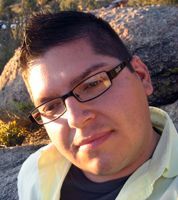 His dissertation is titled “Expressions of Another Center: Borderlands Visual Theory and the Art of Luis Jiménez.” Castillo’s dissertation explores the artwork of Luis Jiménez and concepts of American art and identity. Through the lens of Borderlands Visual Theory, Castillo’s research sheds static notions of “American” by examining how Jiménez’s art challenges the “center/margin” paradigm. Originally from San Antonio, Texas, Castillo has been a fellowship recipient for the Center for Regional Studies, Southwest Hispanic Research Institute, Center for Southwest Research, and New Mexico’s Higher Education Development initiative. 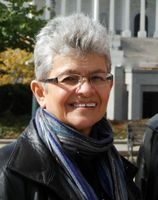 Teresa Córdova, Ph.D., American Studies, 2012. She is an instructor in Women’s Studies and American Studies at UNM. Her dissertation is titled ‘Recordando Nuestra Gente: Ritual Memorialization along the Camio Real de Tierra Adentro.” Córdova’s research includes story narratives that connect Old and New Mexico by way of the Camino Real. Drawing from ritual experiences of marriages, death, and community that develop mythologies, she examines tragedy involving loss, coping, and the memorialization of women. She proposes that physical death does not terminate spiritual and emotional ties between the departed and their loved ones. Survivors find comfort by participating in rituals that assist in the process of transition from physical life to a spiritual afterlife. Traditional death rituals provide a transition for the survivors, allowing them to grieve, and to memorialize those who have died tragically. In so doing brings a community together to recreate ritual practices constructed by old values within new guises and narratives. Jaelyn de María, Ph.D., Communication and Journalism, 2012. She is a post-doctoral fellow in the Department of Communications and Journalism at UNM. Her dissertation is titled “Seeds of Resistance-Harvest of Justice: An Exploration of Spaces Where Native Seeds Grow.” D De María is a Chicana photographer and multimedia storyteller from Albuquerque. She specializes in intercultural communication where she studies the context of globalization and free trade. For her dissertation research, de Maria focused on seed sovereignty, engaging particular stories from people who are involved in practices of sustainability and resistance to genetically engineered varieties of seed and so as to context corporate control of land, water and life. James Dory-Garduño, Ph.D., History, 2013. 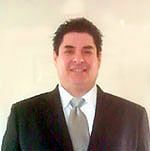 He is the principal and owner of Dory-Garduño Law Firm, LLC, Rio Rancho, New Mexico. His dissertation is titled “The Forging of Castilian Law: Late-Medieval Land Disputes in the Real Audiencia and Transmission of a Legal Tradition.” Dory-Garduño’s research interests include the legal history of the kingdom of Castile, New Mexico, and U.S. Constitutional Law. He holds a BA in History from UNM, an MA from Saint Louis University, and a JD from the UNM School of Law. His dissertation examines the forming of Castilian law in the thirteenth and fourteenth centuries, the application of this law in the Audiencia Real Castellana in the fifteenth century, and the transmission of this law to the Americas. He particularly focuses on land grants and communal land. He shows the connections between grants issued in the eleventh through fifteenth century in the Iberian Peninsula and those from the sixteenth through eighteenth centuries in the Americas. Sean Gantt, Ph.D., Anthropology, 2013. He is a post-doctoral associate in Native American Studies at Brown University in Providence, Rhode Island. 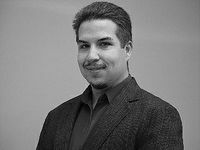 His dissertation is titled “Nanta Hosh Chahta Immi (What are Choctaw Ways): Cultural Preservation in the Casino Era.” Gantt conducted his dissertation research with the Mississippi Band of Choctaw Indians (MBCI). His research interests include tribal economic development, Native American identity and self-representation, visual and public anthropology, and videography. His dissertation research project is a current study of the Mississippi Choctaw Nation’s negotiations with capitalist economic development and western cultural form as a dialectical interaction. Rebeca Jasso-Augilar, Ph.D., Sociology, 2012. She is an instructor and post-doctoral associate in the Department of Sociology at UNM. Her dissertation is titled “How Common Citizens Transform Politics: The Cases of Mexico and Bolivia.” Jasso-Aguilar holds dual MA degrees in Second Language Studies and Sociology. 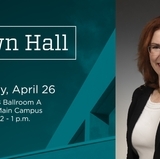 Her past research has included language needs analysis, the impact of globalization on health outcomes and policy, as well as social movements against privatization. Her research focuses on present-day issues, in both Mexico and Bolivia, and the emergence of organized and politicized civil societies. Rebeca’s research also seeks to understand the circumstances and processes by which social movements are successfully institutionalized to represent disenfranchised classes and achieve accountability. Chalane E. Lechuga, Ph.D. Sociology, 2013. Lechuga was an Assistant Professor in Chicana/o Studies at Metropolitan State University Denver, Colorado from 2011-13.She is now a program officer and lecturer with the Office of Diversity and Inclusion and Sociology at UNM, Albuquerque. Her dissertation is titled “They’ll Expect More Bad Things from Us: Latino/a Youth Constructing Identities in a Racialized High school in New Mexico.” Lechuga’s expertise is in the areas of race, ethnicity and public education, with an emphasis on Latina/o students. Her dissertation documented how high school students experience race and gender in the classroom, at school, in their neighborhood, and in their daily lives. She conducted field research at an urban, public high school in New Mexico for this project. Lechuga describes how Latino/a students construct their racial and ethnic identities and their attitudes toward school, as a way to interrogate the educational inequity Latino/as often experience. 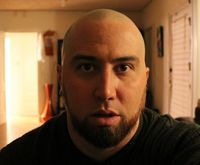 Brian Luna Lucero, Ph.D., History, 2013. He is a digital repository assistant at the Center for Digital Research and Scholarship at Columbia University in New York City. His dissertation is titled “Invention and Contention: Memory, Place, and Identity in the American Southwest 1821-1940.” Luna Lucero’s dissertation explores the commemoration and memory of the Spanish colonial past from 1821 to 1940 in three Mexican towns that grew into prominent American cities: Tucson, Arizona, Albuquerque, New Mexico, and San Antonio, Texas. By examining the stories about the Spanish past that people have told and memorialized in these cities, his work reveals how people of differing classes and ethnicities gave meaning to that places they lived and how that meaning shaped their individual and social identities as well as the flow of power between them. Tennille L. Marley, Ph.D., Sociology, 2013. She is an assistant professor in the Department of Native American Studies at Arizona State University, in Tempe, Arizona. Her dissertation is titled “Indigenous Knowledge, Land, History, and Health: The Construction of Diabetes on an American Indian Reservation.” Marley is a member of the White Mountain Apache tribe and grew up on the Fort Apache Indian Reservation in eastern Arizona. She earned a B.A. degree in elementary education and a MPH from the University of Arizona. Her dissertation research is focused on Indian health policy. Marley’s goal in obtaining a doctorate is to further enhance her ability to understand the myriad health problems facing Native American from sociological and policy perspectives. Elaine M. Nelson, Ph.D., History, 2011. She is an assistant professor in the Department of History and American Indian Studies at the University of Minnesota-Morris. Her dissertation is titled “Dreams and Dust in the Black Hills: Race, Place and National Identity in America’s Land of Promise.” Originally from South Dakota, Nelson specializes in Comparative Indigenous, Modern U.S., and Western History. In her dissertation, Nelson studies the historical relationship between race, tourism, economy, and federal policy to showcase the tensions that exist within the larger celebratory narrative of America’s western expansion. The Black Hills landscape is a permanent reminder of how conflicting concepts of place, national identity, and wealth resulted in the region changing from land promised to the Lakota Nation to a land of promise for Americans. Karen Roybal, Ph.D., American Studies, 2011. She is a visiting scholar at the Center for Regional Studies at UNM. Her dissertation is titled, “Land, Gender, and the Politics of identity Formation: Uncovering Hispana/Mexicana Voices in the Southwest.” Roybal is a native New Mexican, raised in the small northern New Mexico village of Pecos. Her research has focused on cultural studies and southwest studies. Her dissertation provides a comparative analysis of Hispana and Mexicana testimonies, or “texts” to uncover their shared history of struggle and strategies of resistance. Roybal uses hybrid strategies such as ethnography, autobiography, historiography and literary theory to examine conceptions of identity, gender, history, and cultures as these pertain to land rights in the Southwest. 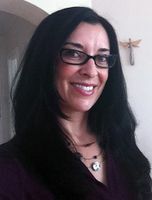 Stephanie M. Sánchez, Ph.D., Anthropology, 2013. Sánchez is a post-doctoral associate at Earlham College in Richmond, Indiana. Her dissertation is titled “Women and Cultural Production: Fiestas, Families, and Foodways in San Rafael, New Mexico.” Native of the South Valley of Albuquerque, Sánchez conducted her fieldwork in the rural community of San Rafael, New Mexico. Her dissertation examines the role played by Hispanic women in multigenerational cultural expression and transmission of knowledge and labor. Sánchez’s research also analyzes the various ways in which contemporary Hispanic women conceptualize ethic identity and heritage practices such as traditional cooking. Damián Vergara Wilson, Ph.D., Spanish Linguistics, 2010. 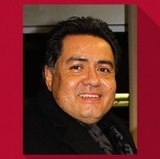 He is an assistant professor and coordinator of the Sabine Ulibarrí Spanish Heritage Language Program in the Department of Spanish and Portuguese at UNM. 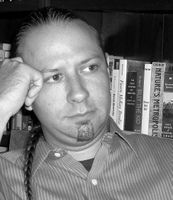 His dissertation is titled “Formulaic Language and Adjective Categories in Eight Centuries of the Spanish Expresion of ‘becoming’ quedar(se) + ADJ.” Wilson’s study uses a written record spanning the 13th to the 19th centuries and applies a cognitive model of mental representation, the exemplar model, to account for linguistic evolution through usage. He tracks the Spanish verb quedarse, ’to stay/remain’, as it evolves into the formulaic expression of ‘becoming’, quedars. At first few adjectives are used but, through time, tangible cognitive categories emerge based on adjective relatedness. This research demonstrates that formulaic linguistic forms have longevity. The UNM Department of Anthropology has recently been awarded another Andrew Mellon Foundation grant.